The Junge Ensemble Dresden has been touring Eastern European countries since 2014. This summer the choir went to Georgia. Geographically located in the Near East, it is often referred to by its inhabitants as the balcony of Europe. It can still be found in a fascinating balance between insider tip and tourist magnet. The 35 singers travelled through a land of contrasts. 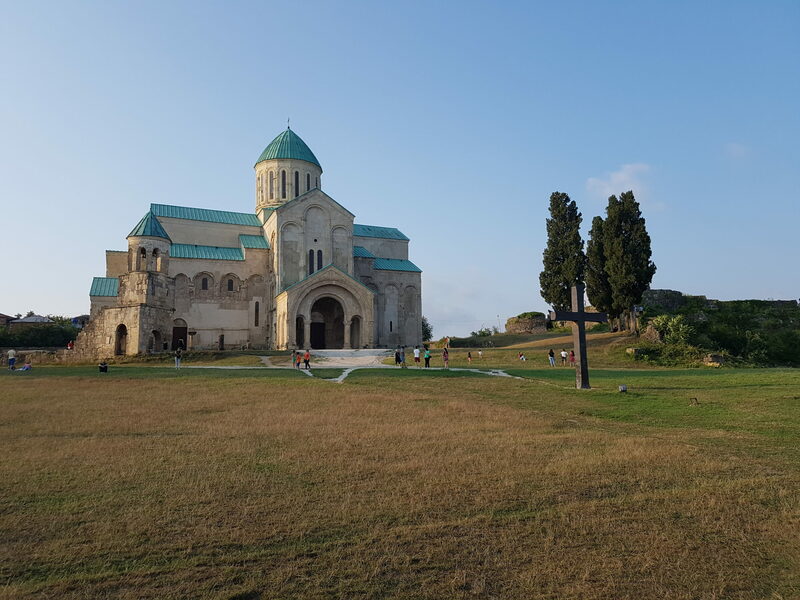 Between the Caucasian high mountains and the Black Sea they experienced untouched nature, numerous old monasteries, sleepy villages and the tireless capital Tbilisi, characterized by the uncomplicated coexistence of tradition and modernity. Hospitality is at the top of the cultural menu of the Georgians, the feasts are legendary. The country is also famous for its unique musical tradition. Elisabeth Huhn will report on the trip as a member of the choir. Here you will find further information about our presentation series Winterreisen.